A new study which has identified the most well-known geographical indication (GI) products in the UK has ranked the iconic fabric top for quality “in the eyes of the world”. The study, titled British GI Brands 2019 – published by Brand Finance and its sister company Brand Dialogue – looked at the awareness and perception of the 76 geographical indications that currently exist in the UK. The most well-known British GI product in the UK – the Cornish Pasty – topped the study’s list at 53.5%, followed by Jersey Royal potatoes (48.2%), Scotch Whisky (48%), Melton Mowbray Pork Pie (45.4%), Stilton cheese (43.6%), Cumberland Sausage (40%), Cornish Clotted Cream (36.4%), Welsh Lamb (30.2%), Harris Tweed (28.2%) and Scotch Beef (27.8%). But there were different results when it comes to the perception of British GI goods. Harris Tweed, handwoven by islanders at their homes in the Outer Hebrides, was the GI that was most likely to be ranked ‘best in class’ by consumers, with 45.1% labelling it as such. 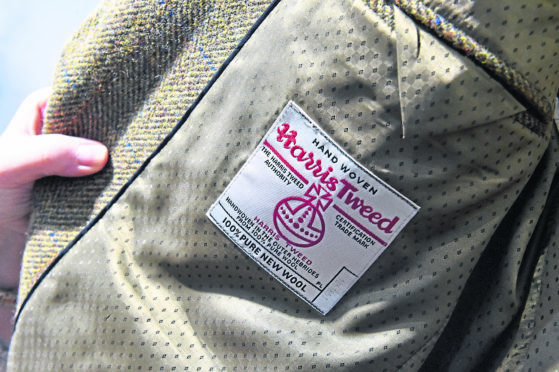 Brian Wilson, chairman of Harris Tweed Hebrides – the biggest maker of the Clo Mor, meaning ‘Big Cloth’ in Gaelic – and a former UK trade minister, said: “This is really valuable confirmation of Harris Tweed’s status as a premium product which is recognised and respected around the world. “We have a fantastic heritage to draw on while ensuring that Harris Tweed remains at the cutting edge of fashion and design. Just behind was Cornish Clotted Cream at 44.6%. When combining the scores for ‘best in class’ and ‘ better than standard products of the same kind’ – indicating significantly better than average products – the results confirm that most British GIs are positively perceived, with Arbroath Smokies ranking highest (at 81%), followed by Anglesey Sea Salt (79.8%), Jersey Royal Potatoes (77.5%), Cornish Clotted Cream (77.4%), and Harris Tweed (76.7%). Currently 74 of the 76 UK GIs are either a Protected Designation of Original (PDO) or a Protected Geographical Indication (PGI) at the EU, many of which are well-known and sold around the world. Of these British GIs products, a vast majority are for food items, including 17 dairy products, 16 meat, 14 alcoholic, 13 fish, and nine fruit, vegetable and cereal products.